The all-new Honda HR-V entry crossover (automobiles.honda.com/hr-v) will make its North American debut at the 2014 Los Angeles Auto Show on Nov. 19. Previously seen only in pictures, the HR-V will serve as the entry point to the Honda light truck lineup, positioned below the CR-V in both price and size and competing in an all-new segment for the brand. 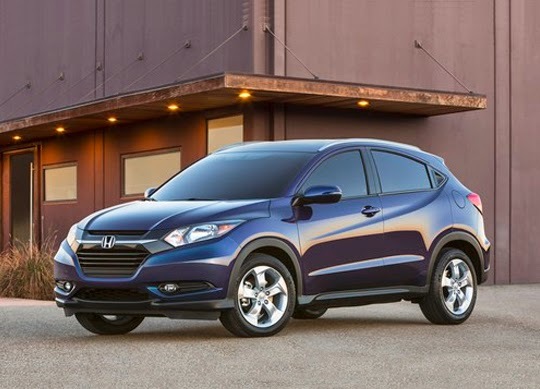 With sleek styling and expressive character lines, the HR-V is anticipated to launch this winter. Built on the same global compact platform that underpins the critically-acclaimed Fit, the HR-V will feature a versatile and spacious interior thanks to an innovative center fuel tank layout. The HR-V will be equipped with the Honda-exclusive Magic Seat®, which allows for multiple seating configurations and the ability to fold the second row seat completely flat for added cargo space. Further details about the Honda HR-V will be revealed on Nov. 19 at 12:35 p.m. PST at the Los Angeles Auto Show. For the latest HR-V editorial photography, please visit hondanews.com/channels/honda-automobiles-hr-v.